HomeInterviewEXCLUSIVE INTERVIEW WITH BYRON HOWARD!!! EXCLUSIVE INTERVIEW WITH BYRON HOWARD!!! You read that title right! ZNN managed to get an exclusive interview with Byron Howard in honor of our One-Year Anniversary! Before we begin, I have to give a huge thank you to Byron for taking some of his time to answer our questions! We asked them to Rich Moore as well, but he is super busy Breaking the Internet. Keep up the awesome work, Rich! We’re all looking forward to it! This interview was conducted via email, so we have full, written responses for your enjoyment! We ask about his reactions to Zootopia’s whirlwind success, what’s surprised him, and even some worldbuilding trivia you all want to know! Byron: Honestly, we hoped it would be huge, though you never know with these things. As we were creating the world, Zootopia looked to have a ton going for it: the worlds within worlds of the many districts, contemporary parallels to our day to day human life, the natural fascination humans have with the animals, and humor. Animal puns with no end. We certainly loved what everyone around us was creating as the film came together, we hoped that audiences would feel the same way once the film came out. A lot of people have asked about our reaction to the film’s box office. When we saw Zootopia hit one billion at the box office, to us that meant that millions of people had gone out to see the film, and even nicer, that many of those people were going back to see the film multiple times. It made us feel terrific. Plus, they gave us a cake when we hit a billion. We love cake. As far as the awards go, they were a really wonderful way to wrap up our long, long journey on Zootopia. Years of research trips, story discussions, years of stunning art and design by unbelievably talented artists, and a lot of blood sweat and tears form our wonderful production team. The nicest thing about that positive critical recptiont was that it told us that the film’s message had landed with lots of people around the world. Everyone worked so hard to make this film work so we hope everyone who touched the film feels like those awards belong to each of them. We are ridiculously fortunate to do this kind of thing day to day. I still can’t believe we get paid to do this cool stuff. Do you think it could have achieved these milestones had it remained in one of its earlier states, like the scrapped “Savage Seas” concept, or retained the shock collars (referred to as “Zystopia” among some fans)? That’s funny, I hadn’t heard the “Zystopia” title. Very Orwellian. That first version of Zootopia was really compelling because of how bold the shock collar idea was, but it did create a lot of problems for us in that people generally didn’t like the city that we wanted them to love, and it also made the film feel somewhat dated, like a film that would’ve been made in the civil rights era versus one that has been made for a contemporary audience. Working with our expert on bias and discrimination, Dr. Shakti Butler, for many years on the film was a real education for us. Dr. Butler would often point out that the most dangerous bias is often the most subtle. That’s a lot of what we’re seeing today in our own world, and as soon as we changed the movie to talk about subtle bias and the dangers that it presents for people who think that bias is a thing of the past, then the message really starting to feel more useful for today’s audiences. So ultimately, the version that made it to the screen was the right version for the time that we live in. In the year since it’s release, what has surprised you the most from people’s reactions? I was personally surprised at the fact that even a year after the film’s release people were still talking about it. I think the political climate of the last year had a lot to do with that, but one of the most moving things to me was a screening for 4000 kids in Santa Barbara a few months back where each class made collages and posters with personal statements about how they felt after seeing the film. These students, who on average were between 10 and 12 years old showed such balance and understanding in what they chose to say about their world and about each other, that it made us feel very hopeful for the future. If fifth and sixth graders can show such open attitudes about equality and inclusion, then maybe they can teach us boneheaded adults a thing or two in a few years when they step into leadership roles. Now that a year has passed, and all the fans are clamoring for more Zootopia, have you given any thought to making a sequel, or possibly a TV show, set in the world you’ve built here? We would love to see more from Zootopia. The world is incredible and there are so many ways you could go with a new story, it would be a shame not to do something more with it. I always think of Empire Strikes Back as the bar for a great sequel. Relationships change and deepen, characters mature and make new choices and the world opens up into something even bigger than you ever thought it could. Plus, there’s all those districts we didn’t have room for in the first film. I really want to see Outback Island! What’s Finnick’s REAL name? It’s never actually mentioned in the movie. Judy is one of the few Disney protagonists with both parents alive and well, but what happened to Nick’s family? Are they still around somewhere? Why is a Jumbo Pop so expensive? Do prices of food items scale with size? And there we have it! ZNN’s Exclusive Interview with Byron Howard! Again, Byron, thank you so much for taking the time to do this. It means the world to us! 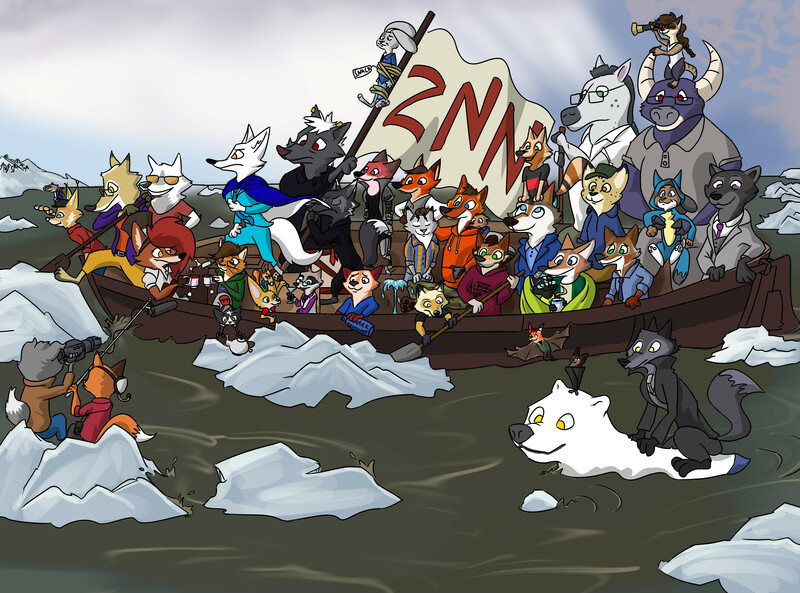 Celebrate ZNN’s One-Year Anniversary with us! 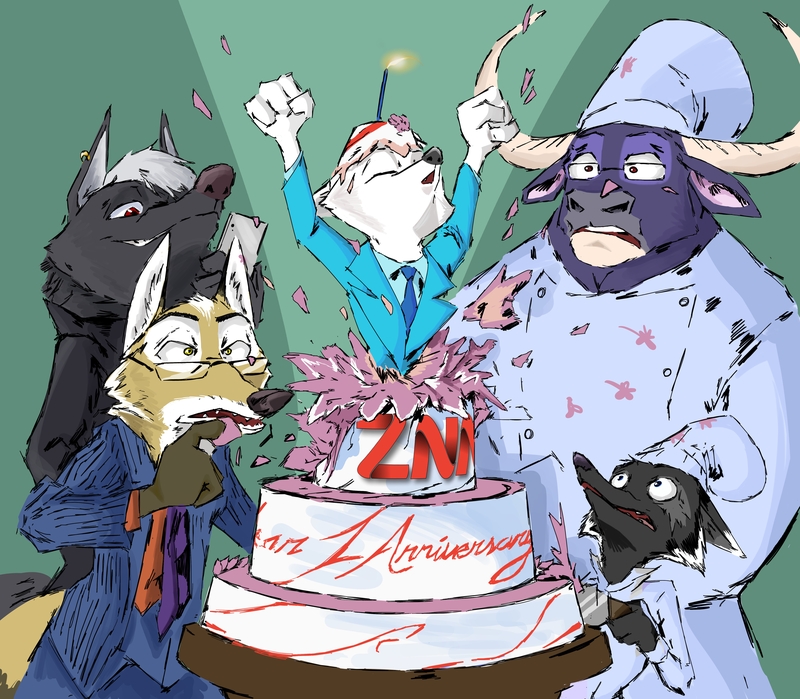 ZNN Anniversary Interview! The Staff Shows Its Stuff! "Just in case"…I know we're all hoping they do have something planned, but those kinds of phrases are just torture. For real, stringing people along like that is just mean, and ya getting a chance to talk with Byron must have been such a privilege and an honor! Well keeping up interest about potential projects is important, however until something gets officially green light they will never say anything unless Disney says otherwise. Zootopia was first announced in I believe 2013 and had been in development hell for a few years before that. I would still say a comic book isn't out of the question if they just want to do throwaway non-canon-related stories to tide us over for the time being. 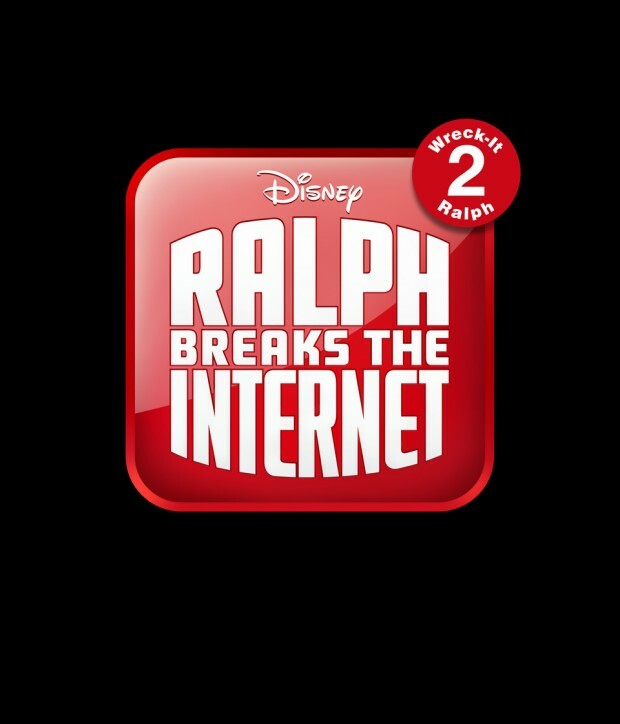 They just always called it "Zootopia" while they were working on it. So yea, interesting, but in the old story (from what i have seen compiled much or less), zootopia started being, well, utopia right in the end, when collars would be proven to be pointless. So the name doesnt really work with the old idea + other things that already has been said. All the different aproaches and ideas. I wonder what the future will bring. I'm sure most staffers usually don't always follow fan trends anyway, at least before the movie came out. It's not, Andy's shown us photos and the like. We're all super jealous. So I took a video of myself actually getting paid over $500 for filling paid surveys to finally set the record straight. Great interview! But can anyone delete the spam comments?